The festival has its base in Tromsø as the city was Norway’s capital of house and techno when the genre first emerged. Insomnia Festival is a non-profit event, with our main goal to create an artistic melting pot and an important platform for innovative artists above the arctic circle. Tromsø City is based on an island surrounded by majestic mountains which are covered in snow most of the year. About 70.000 people live here and 10.000 of those are students. 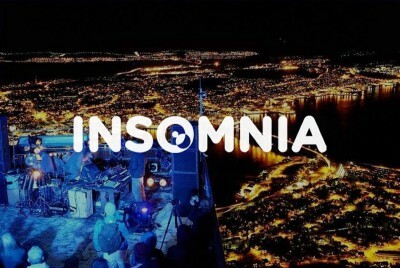 Insomnia festival is placed in an environment that gives creative energy and mental space- we therefore recommend both artists and audience to stay for the whole week for recreation and inspiration.